The latest Nissan GT-R shoots for refinement in its latest update while still maintaining the performance we demand from it. 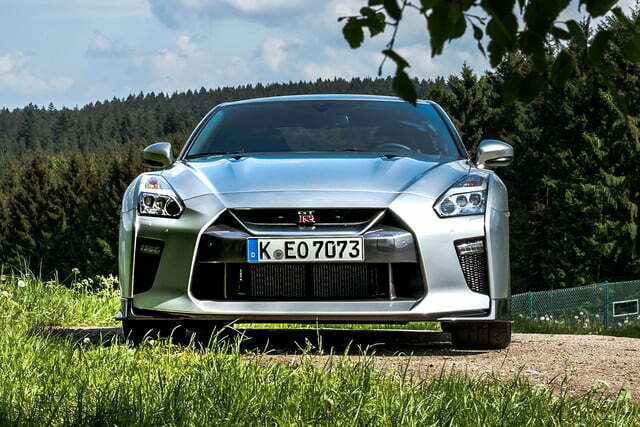 Nissan’s GT-R is the car that made “Godzilla” a household name again — only this time we’re not talking about a city-destroying lizard. Instead, we’re talking about an all-wheel drive sports car that packs a 3.8 liter twin-turbo V6 under the hood that produces 565 horsepower. Updating a car like that isn’t about more power, although the 2017 model gets a multitude of tweaks — inside and out — to improve upon an already legendary level of performance. It’s about refinement. Whenever I’ve driven the GT-R in the past, I felt like it handled whatever I threw at it with too much ease, like I wasn’t offering the car enough of a challenge. But on the street, the car left much to be desired. 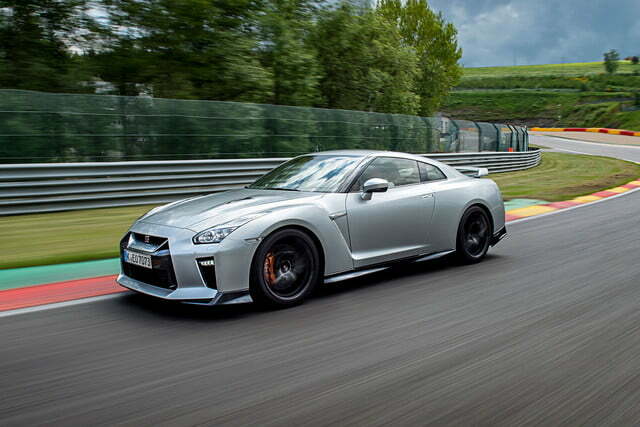 To see how the 2017 Nissan GT-R shapes up on and off the track, I trekked to Belgium and visited Spa-Francorchamps, one of the most demanding tracks in the world. At first glance, it might take a couple seconds to notice how the 2017 GT-R differs from its predecessors, but a closer look will reveal a number of small tweaks made to increase the airflow efficiency. First off, the intimidating front facia is a little wider, and gains the V-Motion grille present in all current Nissan products. It also makes more use of the space up front for better airflow to the brakes. Opening this up was done with care, as to not create additional drag while improving engine cooling. Even the hood has been angled slightly to increase aerodynamic performance. In short – more efficient, slippery, and meaner-looking. 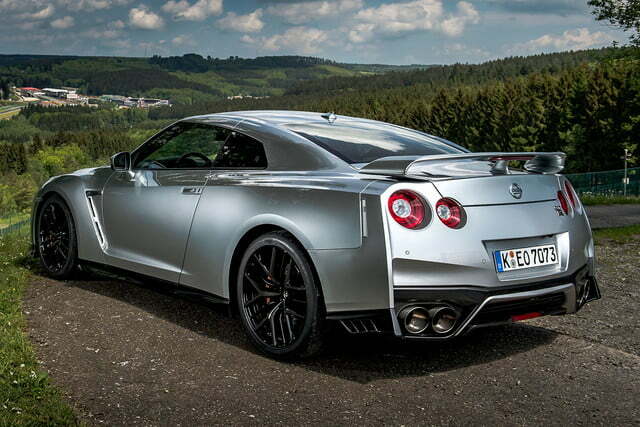 Most people will see the back of the GT-R a lot more than the front, and here it retains its distinct round taillights and menacing haunch. 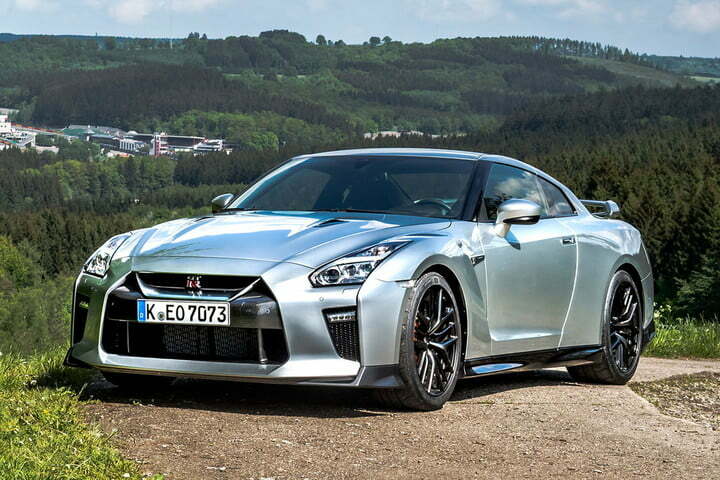 The bumper that the 2015 GT-R NISMO sported is now standard, along with new side vents and a silver-finish diffuser for even smoother airflow. 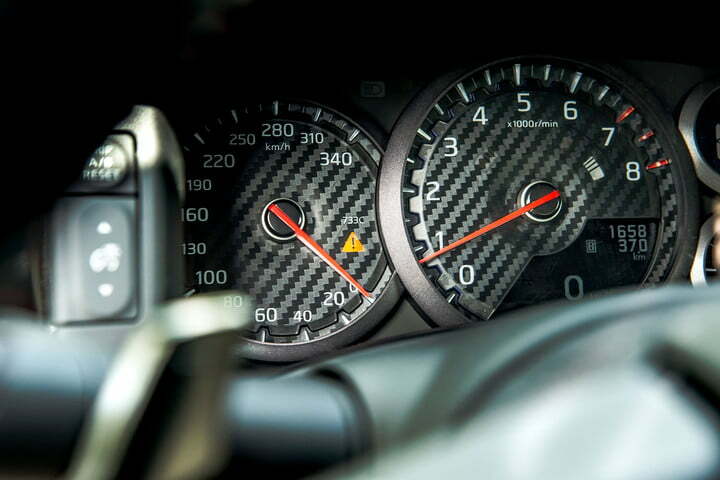 Like the swords from Japanese mythology, the GT-R’s engine is hand-assembled by a Takumi craftsman and wields incredible power. 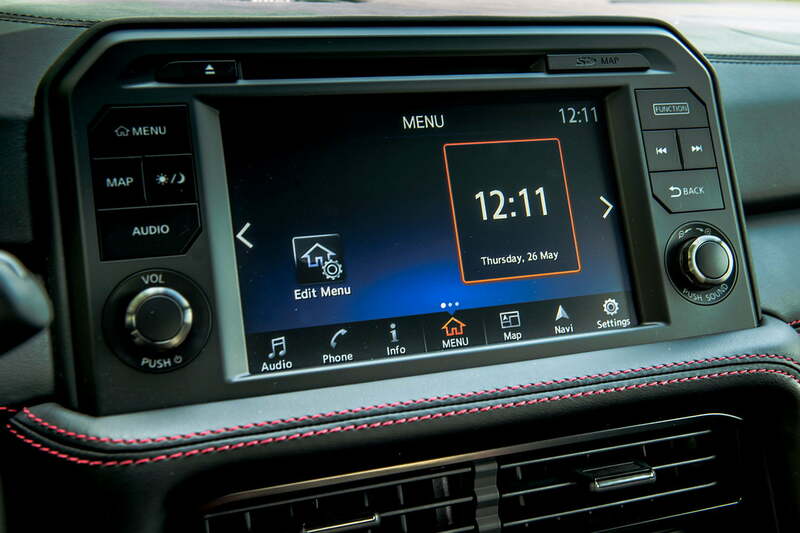 Things stay driver-focused in the cabin, but have been cleaned up to look more modern and symmetrical. For instance, the center stack retains its commanding position, but looks much more streamlined as the number of switches drop from 27 to just 11. The larger eight-inch touchscreen has been revamped as well, with a more user-friendly interface. Lastly, the paddle shifters to the six-speed dual clutch transmission move from the steering column to the wheel. For all the things that have changed, however, much stays the same. The transmission and suspension switches stay right where we left them, that big red R still stares back at us from the steering wheel, and the back seats are still just for show. 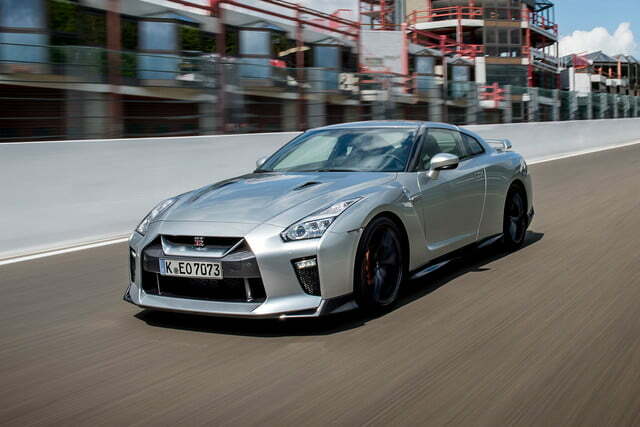 Underneath it all, of course, is the GT-R’s 3.8-liter twin-turbo V6. Like the swords from Japanese mythology, the engine is hand-assembled by a Takumi engine craftsman and wields incredible power. 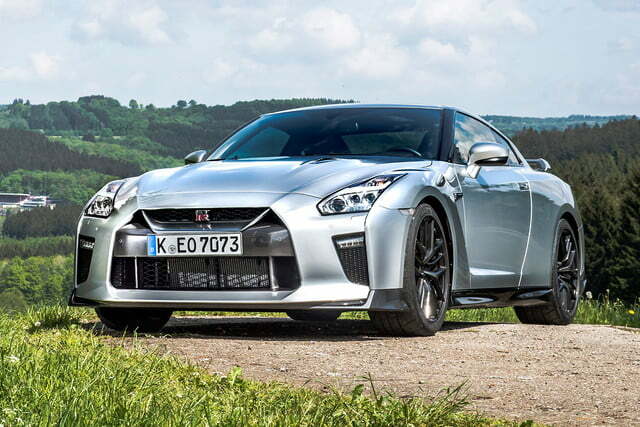 Now with an output of 565 horsepower and 467 pound-feet of torque, the GT-R has a wider power band and improved mid-range acceleration. The refinement throughout the build is astounding, with changes to the boost pressure, cooling, and ignition firing designed to increase efficiency. In the end, it means that with each stamp of throttle, the GT-R warps forward with prodigious, time-bending acceleration. 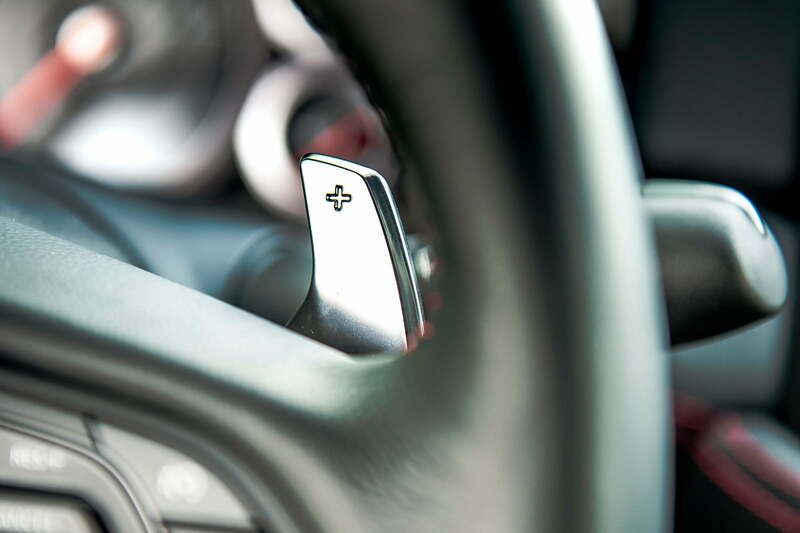 Power is channeled through a sequential six-speed dual clutch transmission that sees updates for smoother gear transition, particularly during lower speed cruising, when it’s now quieter and less clunky. 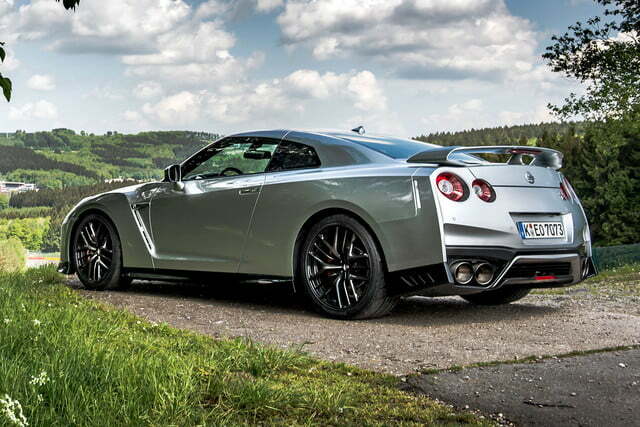 The GT-R’s all-wheel drive system, maintains a fairly healthy rear bias, but can split torque 50-50 when conditions warrant it. I was happy to have at my disposal on a soaking wet track. Spa-Francorchamps is intimidating on its own, but having it drenched in rain doesn’t help things. The first corner of the track, La Source, is the hairpin that sets you up like the initial crest of a roller coaster. From here, it’s a fast and wild ride downhill and immediately up to Eau Rouge, possibly the most famous set of corners in racing history. With its sharp incline and a left-right-left kink to negotiate, Eau Rouge eats even the best race car drivers alive if they’re not on their game. 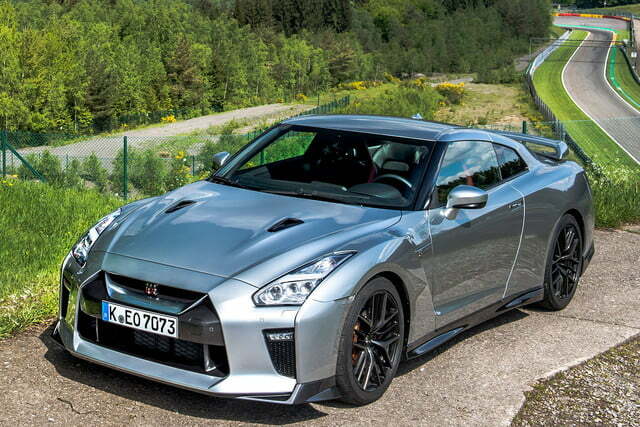 As a lowly mortal, I had to put my faith in the GT-R.
Mercifully, the car was able to support the hair-raising maneuvers, made all the more terrifying due to wet curbs. 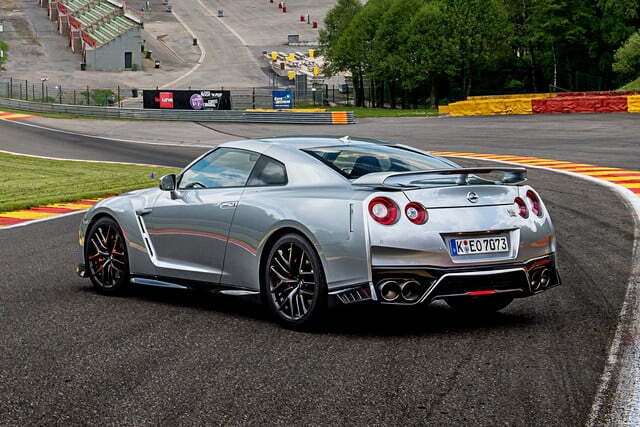 It tackled the track’s hairpins, switchbacks, and high speed turns with incredible competence. Power stayed to the rear wheels for most of the drive, only shooting to the front wheels when necessary. This translated to stability when I was on the edge of things, but I was still able to apply rotation to the car around some of the sharper turns. The last chicane set us up for another white-knuckle run, and giving things a break was the last thing on my mind. 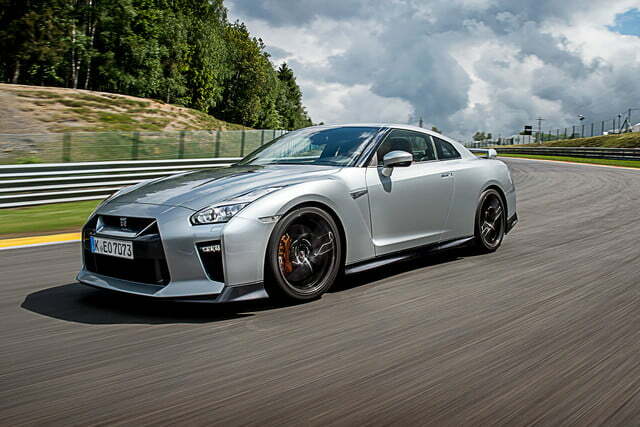 Heading (sadly) away from the historic track, the car is civil, even at the high speeds that unrestricted roads allow. 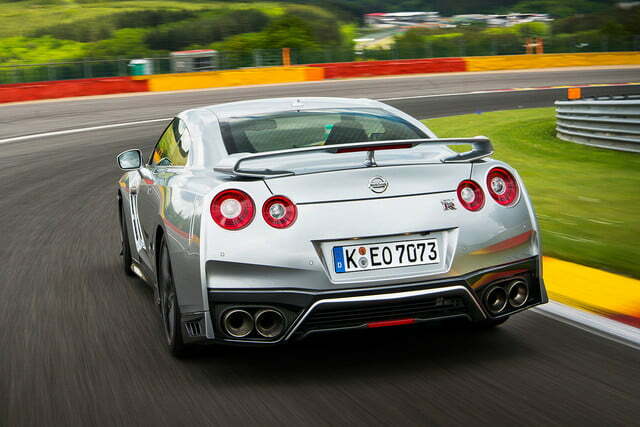 The GT-R climbed effortlessly to the totally-legal 155 mph we were able to maintain on my departure from Belgium. Active noise cancellation along with a smattering of insulated hard-points throughout the body work helps dull the roar, especially low-frequency sounds. 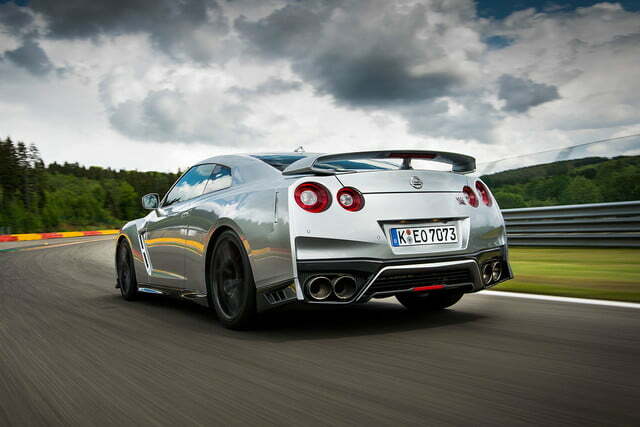 The 2017 Nissan GT-R builds upon the legacy that the R35 chassis has developed since its debut a mere decade ago. It remains stunningly powerful, incredibly easy to control, and its added smoothness makes it easier to live with when not devouring high-speed corners. All these improvements can be yours for around $109,990, which is a solid jump from the $101,770 price for the outgoing model. Still, it’s well under the asking price of its supercar competitors, and can still make short work of them. 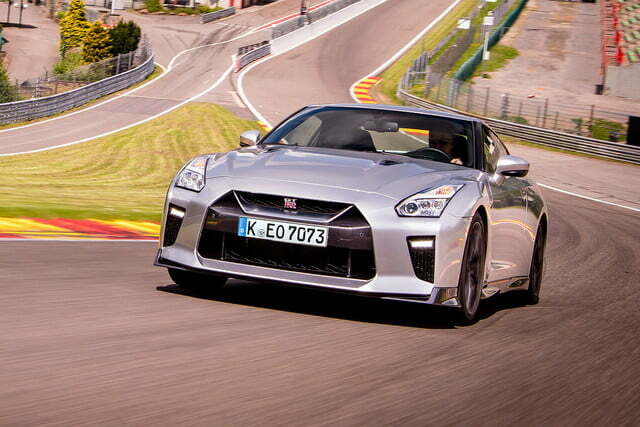 Spa was plenty of track to challenge the Nissan GT-R, but it was more than capable of taking it on. And when it’s not playing track-attacking sidekick, it’s now more livable on the street than ever.